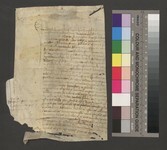 The charter was cut in at least two pieces and used as pastedowns in Cod. 3597. Fragm. 820 was glued on the inner side of the front board. 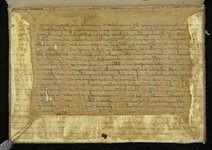 As pastedown at the back served another part from the same charter. 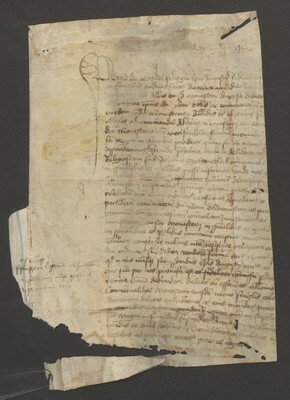 This fragment was detached and probably inserted in the Collection of detached fragments in the Austrian national library without, however, noting its host volume. The text can be reproduced based on the well-preserved offset.